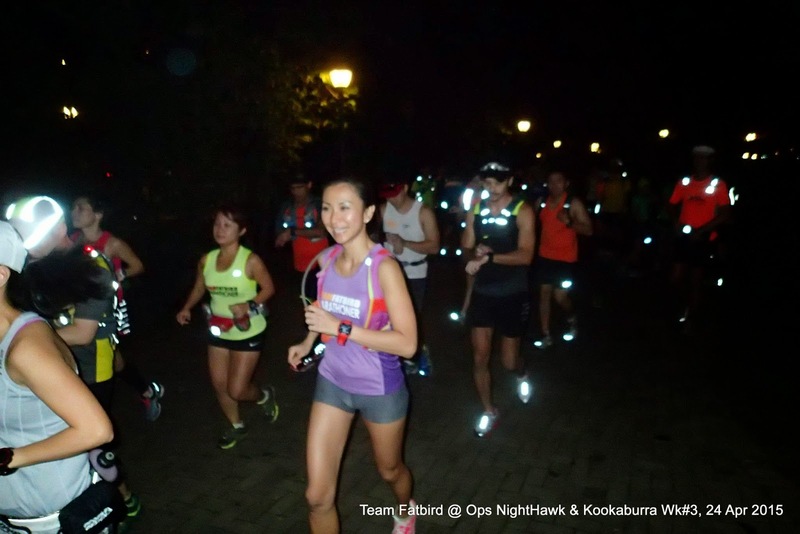 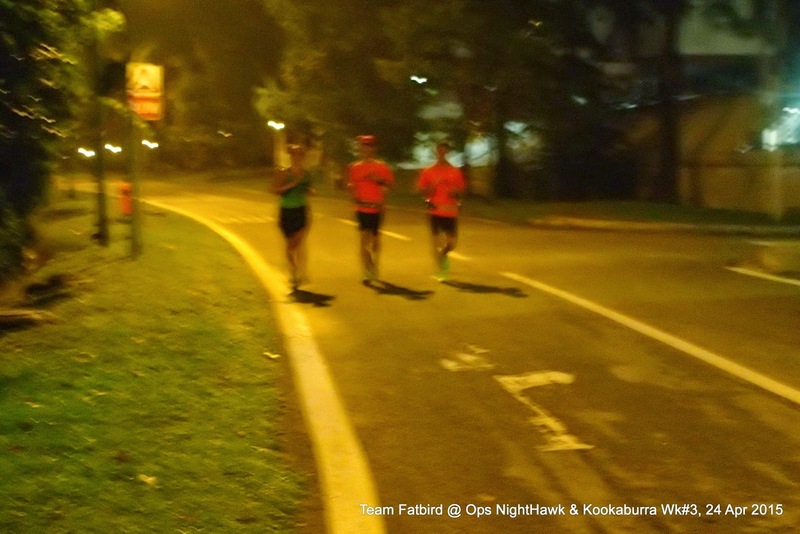 The Kookaburra trainees were given a challenging night LSD in Week #3 of their training preparations for the Gold Coast Airport Marathon (GCAM). 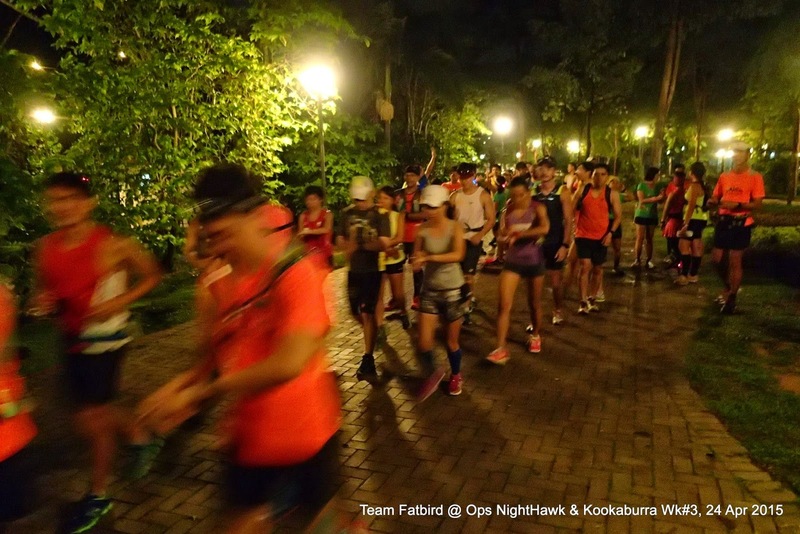 The afternoon showers provided a cool enough evening for the eager flocks to move their training distance base up the next level. 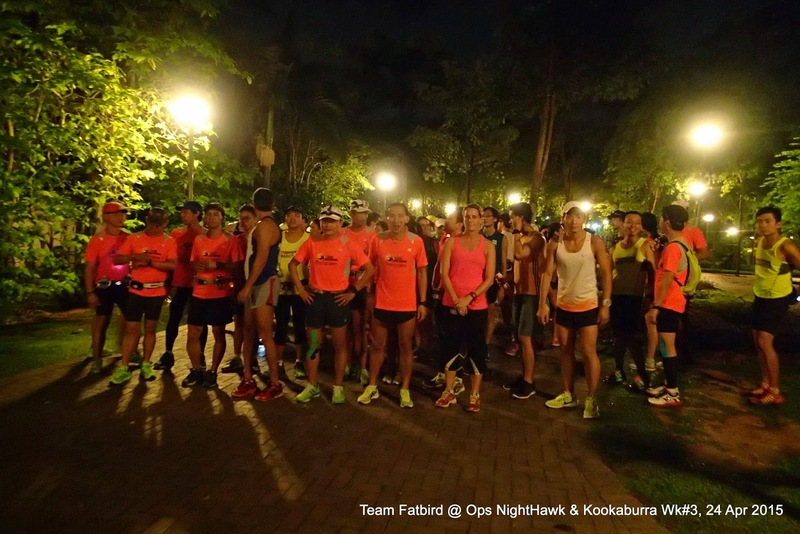 Although the Basebuild pace was prescribed, long night runs always provide additional challenges as the tired bodies after a week's worth of work has to overcome fatigue to sustain training paces with sufficiently good running form. 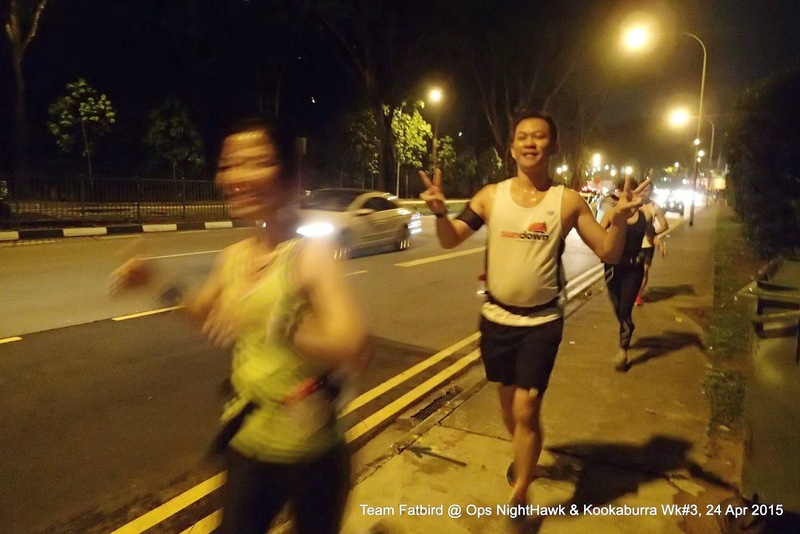 The training run started off from MacRitchie Reservoir Park meandering along parts of Peirce Reservoir and Seletar Reservoir, making the route an interesting one for all. 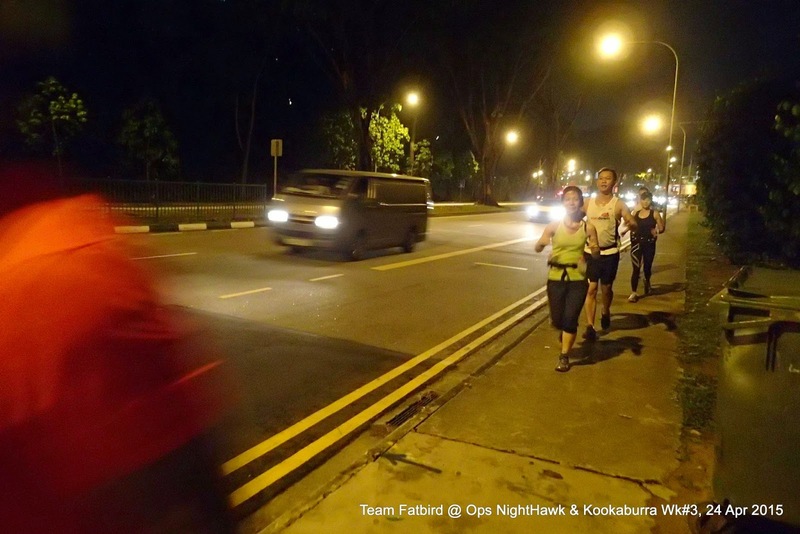 There were sightings of wild boar as we passed parts of Old Upper Thomson Road (OUTR) which added to the mystic of running along nature in the night. 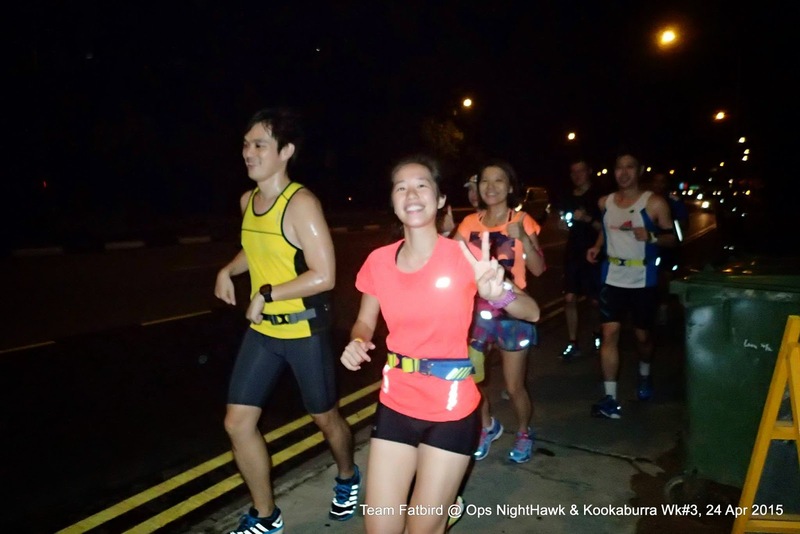 The quiet night run along secluded parts of the reservoir areas made for some therapeutic workouts and without the headphones and music on (for safety reasons), the trainees could enjoy the sounds of the night as they worked their way through their training paces. 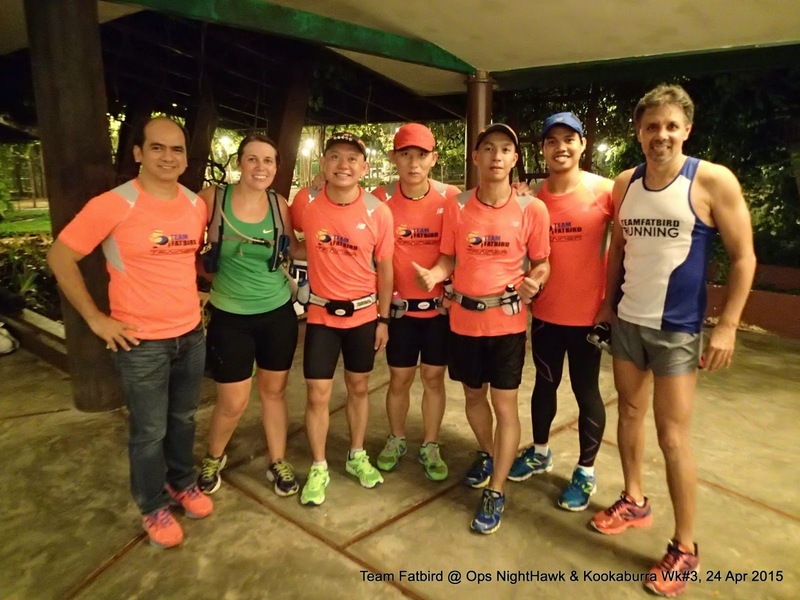 The Half Marathon trainees did a U-Turn near the end of OUTR for a 16km total run, which was gamely achieved by all the runners - and all these just after 3 sessions of basebuilding. 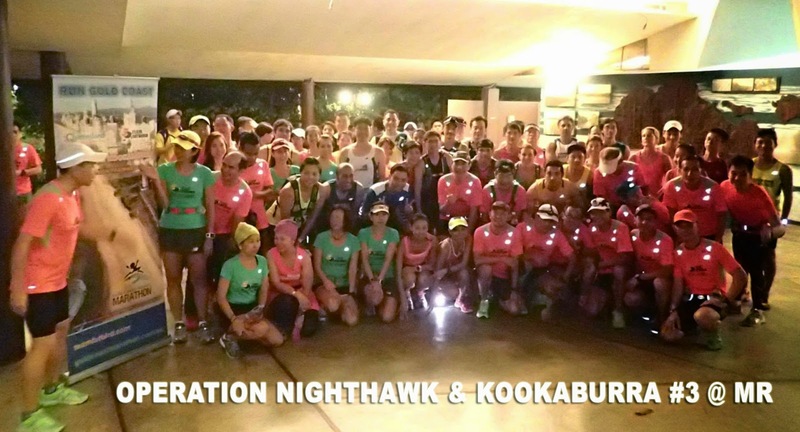 Although the HM groups were smaller, they were in no way less serious and committed than the Full Marathon groups in wanting to achieve their race objectives on 4-5 July. 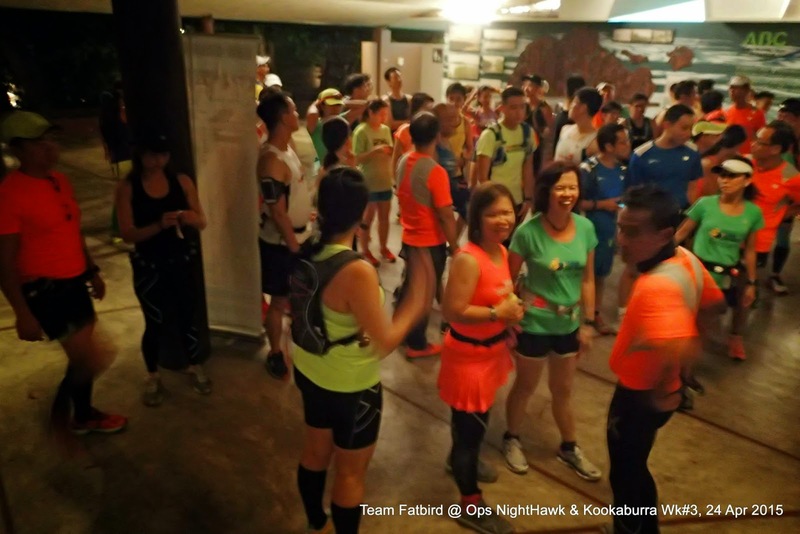 The FM groups ran in tight-knit formation all the way to Seletar Reservoir Observation Tower or even the Main Gate for some, before doing a U-Turn to return back to the start point at prescribed paces. 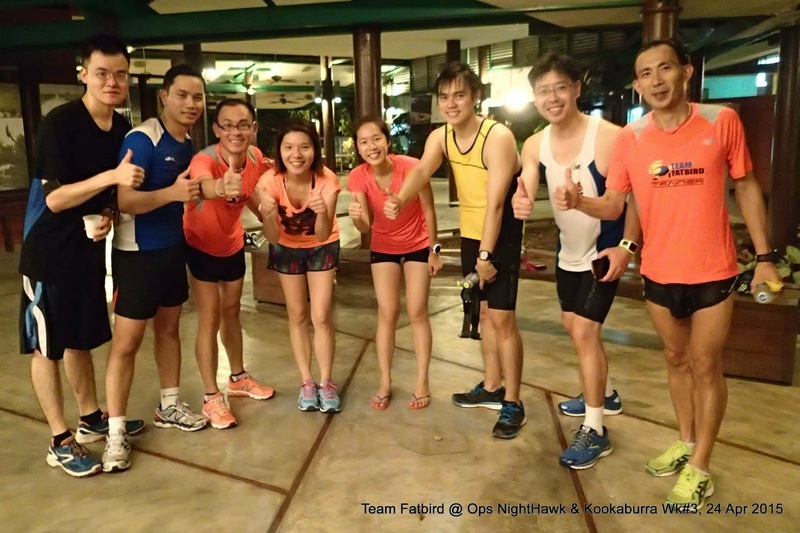 All the Groups did a marvelous job of completing Week 3's workout according to plan. 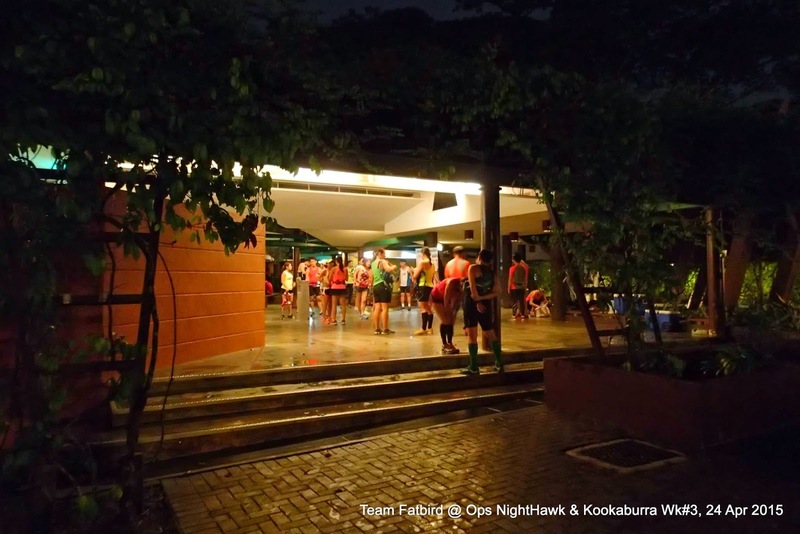 Even better was there was no incident of any falls or injuries, mainly attributable to the observance of safety advisory by the Kookaburras - very commendable indeed. 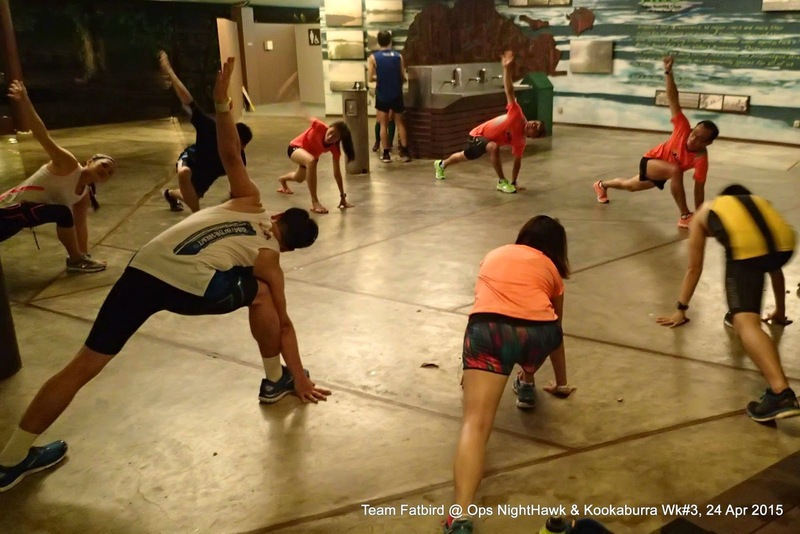 The entire session completed before 11am, with even time for a quick wash-up before setting off for supper to recover some of the energy expended in the hard workout. 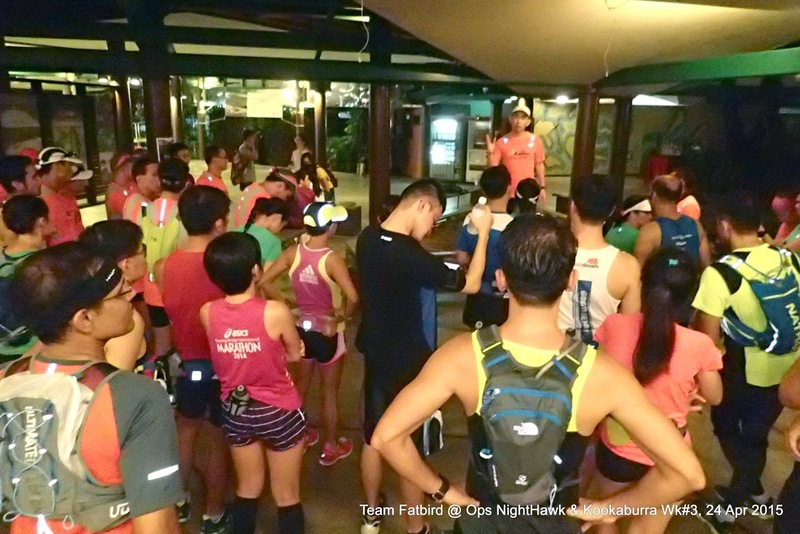 A short stretching and debrief was conducted to inform trainees of the special equipping sales as well as proper gear up preparations to maximize training efficiency through to race day. 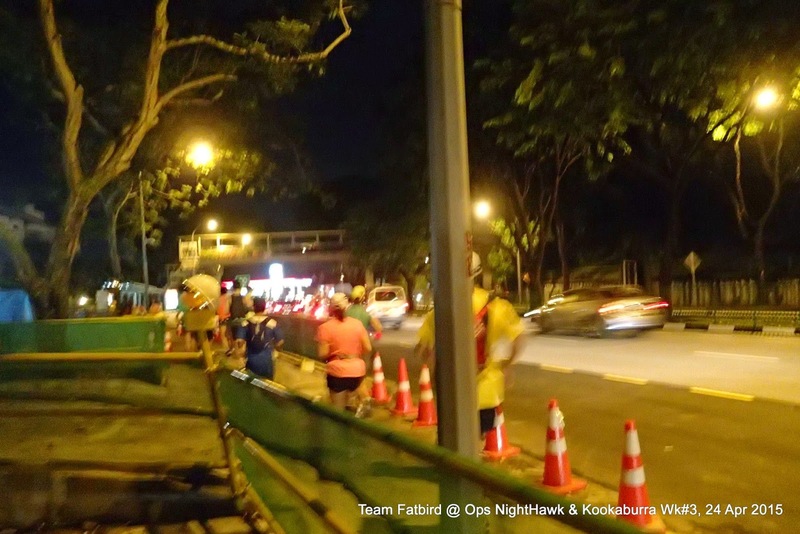 As we progress through Phase 1 of basebuilding, we will be looking forward to Week 4's day workout at the Western Hills region to build aerobic and strength endurance with a menu of long rolling hills and repeats.